When you think about your boat, the last thing you probably consider is the wiring. However, if something goes wrong with your electronics, that story may change. Unfortunately, all wiring can eventually go bad. The good news, it is not hard to find the best boat wire and trolling motor wire available. Marine wiring is wires or terminals that are designed specifically for your boat. This means that it can handle the extreme conditions that your boat must be able to handle. Salt water causes corrosion, oil spillage can cause fires, water can cause rust, all of which can destroy wires, this leads to many considering a battery box. When the wires are no longer solid, the equipment on your boat will not work properly. Why Is Special Marine Wiring Necessary? Think about the electronics you have installed on your boat. Chances are good, you search for the best that you can afford. You want quality fish finders, accurate depth finders, good sound systems, etc. Without the proper wiring, all of the equipment you invest your money into, will not do the job that you want for them to do. This means you need the right size cables and wires as well. You will also have to have an understanding of how to wire a boat, which is fairly simple according to most. The hardest part of installing wires is ensuring you have wires that are the right length to reach from the power supply to the electronic you are installing. 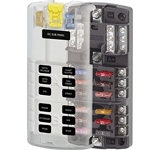 After that, you will need the right tools to attach terminals, fuses, switches, and circuit breakers. 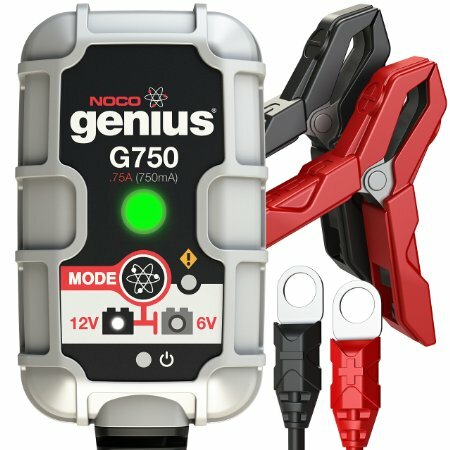 Why Wont Home Wiring Work? Though the best boat wire is similar to automotive wiring, you should still use marine grade wire on your boat. The reason, the marine wire is often larger, but the stranding is unique in that each strand is finer. The strand is also tinned. This increases the flexibility of the wire and allows it to handle the vibrations of a boat and adds to the wires ability to resist corrosion. When looking at home wiring, you will see that the wires are large and extremely stiff to work with. This is also not good when you are trying to take it out on the water. Home wires are not designed to be able to handle water and oil exposure, nor can they handle the extreme conditions that your boat may need it to. This boat wire is tinned copper. You can purchase from 10-18 gauge wires. It is easy to work with if you need to solder it and it can bend to help you run the wire where you need for it to go. If you want to run a single wire to two separate things, you should choose the duplex cable. It resists corrosion and it is available in a variety of sizes to meet your needs. This type of wire is designed to be used on boats, so it will be flexible and will not be affected by vibration. 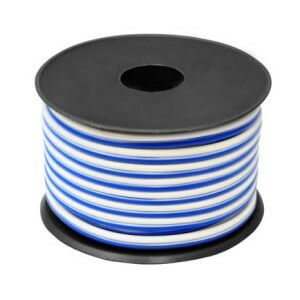 This is 18 AWG marine speaker wire that is in a 50ft spool. This gives you plenty of wire to run your speakers and it has marine grade insulation to prevent corrosion and damage.